St. Rd. 28 West of Union City, turn on to 500 N, turn north on 550 W, farm on westside. Productive level farm ground in north west Randolph County. Approximately 66 acres tillable ground consisting of Pewamo, Glynwood and Morley soils. FSA numbers: Corn base of 38.1acres with 155 bu yield; Bean base is 17.5 acres with 53 bu yield. This does not reflect the 10acres of woods that was cleared in 2013. Field tile installed in 2014 with 4-11 4” tile and 8” to 10” main tile. This all drains into an open ditch on the tract. This tract is located just north on 500N and sits on both sides of the road. Majority of the land is on the west side 550W. 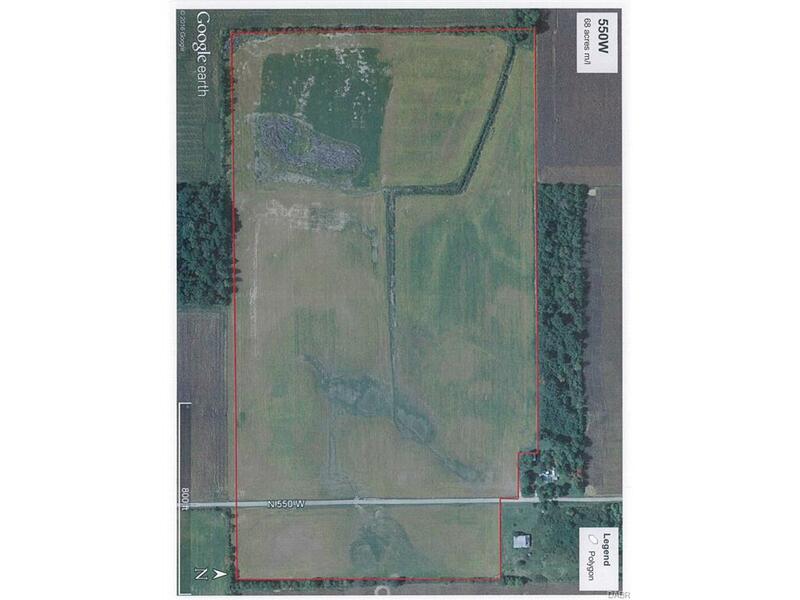 You can take possession of this farm prior to 2016 planting season. So don’t delay, call us today. NOTE: This property was sold on 8/11/2016 and is no longer available. The details listed below are believed accurate to the date of the sale and are subject to change. This listing courtesy of Donald Leis, Leis Realty Company .